Can You Spot What’s New In This F-35A Heritage Flight Demo? If you are a keen observer of airshow flight demonstration routines then you already know the USAF F-35A has not flown inverted as a part of its demonstration routine during the previous Heritage Flight displays. Last year at the Aviation Nation airshow at Nellis AFB in Nevada this Author saw F-35A demonstration pilot USAF Major Will Andreotta, call sign “D-Rail”, momentarily approach inverted flight during a pull-out from a high performance pass following the formation flight portion of the Heritage Flight demo. 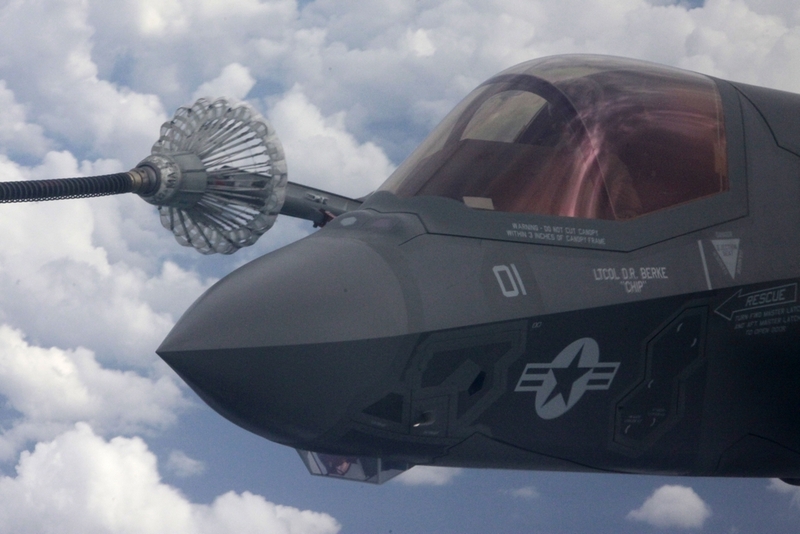 But the F-35A did purposely not fly completely inverted due to administrative restrictions on the aircraft’s demonstration routines. It would appear some, or perhaps nearly all, of the demonstration flight restrictions have been removed based on this new video of a USAF F-35A Lightning II flying with an F-86 Sabre and a P-38 Lightning during the Heritage Flight demo at the Planes of Fame Airshow in Chino, California on May 6th and 7th 2017. As you can see in the video, the F-35A does its relatively normal climb out, but then appears to maneuver somewhat more aggressively than was seen in the 2016 demonstration season where “G” load and aerobatic restrictions were imposed. Most significantly, at the 1:29 point into the video the Heritage Flight formation calls for “break!” and performs its normal horizontal separation. At the final Heritage Flight of the season in 2016 at Nellis AFB the other aircraft in the formation passed one-by-one in review in front of the crowd line and executed a single, slow aileron roll. The F-35A was the only aircraft that did not perform the fully inverted roll, again, likely due to demonstration restrictions at the time. In this new video, however, at the 1:36 point in the video the F-35 pulls slightly nose-up, then executes a rather smart looking right aileron roll, the first we’ve seen in any Heritage Flight or, for that matter, the first ever USAF F-35A complete aileron roll seen at an airshow. Considered what other combat aircraft can do, an aileron roll is the least the F-35 can do to show a bit of maneuverability. 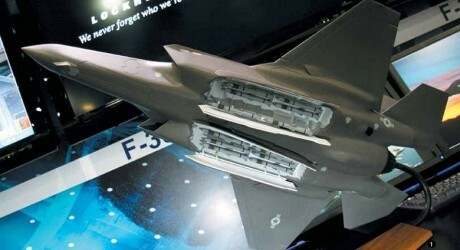 News outlet Aerospace Daily and Defense Report wrote in a May 17, 2017 story that the F-35A will fly its first aerial demonstration at the Paris Air Show this year, with Lockheed Martin pilots, not U.S. Air Force pilots, performing aerobatics in the skies above Le Bourget Airport.